I am alive and well. I just got to Guatemala and am seeing Tikal tomorrow! The first few days have been an amazing start to my trip. Wednesday night, I boarded my 10:15 bus and was on my way. For an 8 hour overnight bus, I might’ve gotten 2 hours of sleep. I should also mention the 2 am border crossing into Belize. Our bus of maybe 30 were the only people at the border. We got out, and one by one entered a lonely little building on the side of the road. There, a customs worker stamped our passports and we walked out an opposite door. Then we boarded the bus and had to go to another building to enter Mexico and go through their customs. Nothing exciting happened, except for the fact that it was an eery, and slightly scary experience at 2am not knowing anyone. We got to Belize City at 7 am. The minute we got off the bus, we were swarmed by locals yelling at us for taxis and tours. Thank God this one Norwegian gal pulled me out of a crowd, asked if I spoke English, and then offered to split a taxi. On our way to the water taxi dock, she informed me that Caye Caulker was apparently booked for the weekend. Great. We kindly said goodbye but I decided to give it a shot. A water taxi took us 45 minutes northeast to the island of Caye Caulker. It was cold, windy, and a bit rainy. Between that, and my nerves, my entire body was shaking. They carted the luggage down the pier to the shore. Everyone claimed their bags one by one, until the cart was empty and I was bagless. I freaked out. How could I lose my bag, especially day two of my trip? What am I supposed to do now? Right then, a second cart appeared at the end of the dock. As it got closer and closer, I began to recognize Judd (my blue backpack) sitting comfortably atop lemons, limes, bananas, and coconuts. Crisis averted, Judd and I ride in luxury. Or fruit. I unloaded my things and, being exhausted from two days of travel, did what anyone else would have done: go to the beach. 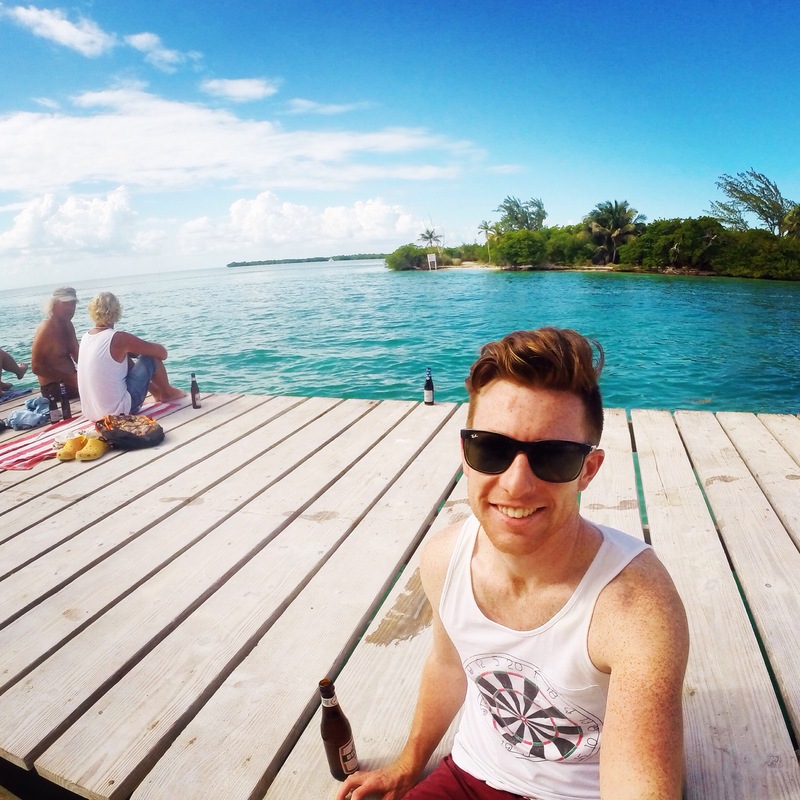 Except on Caye Caulker, there isn’t really a beach, more a dock. It’s on the north end of the island and is called “The Split.” Its a small break in Caye Caulker that started small and expanded in 1961 from a hurricane. It’s the perfect spot to hang out, sun tan, and have a nice cold beer. Which is exactly what I did. For three days. One of those days included 200 Harley Davidson riders. Message me for an explanation. On Friday night (apparently Bob Marley’s birthday), we celebrated with the locals at a reggae bar. I got to meet a bunch of backpackers, and made plans to travel with them into Guatemala! Finally I’ve made some friends and am able to socialize a bit. I’m doing this trip alone, but it’s great to make new friends along the way. 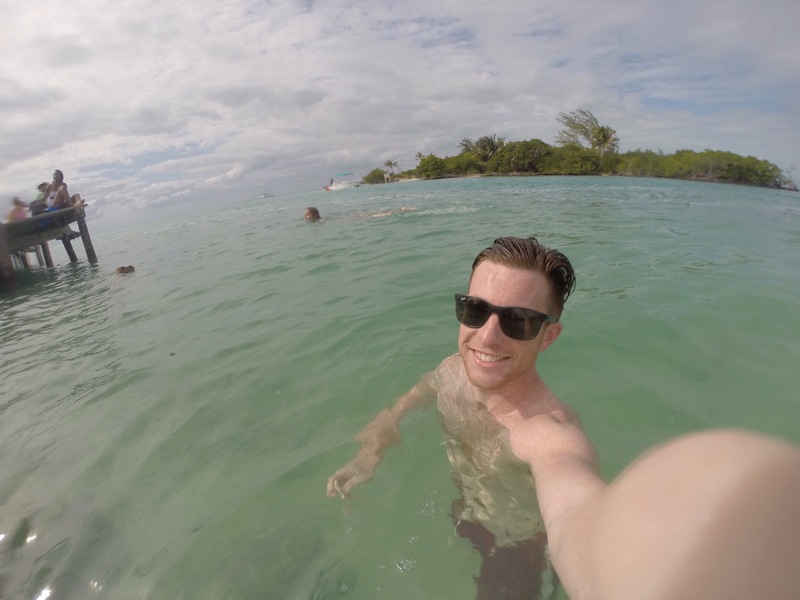 Sunday in Caye Caulker was the best day there. A group of us went on an all day snorkeling trip in the Hol Chan Marine Reserve, part of the second largest barrier reef in the world. It was incredible. 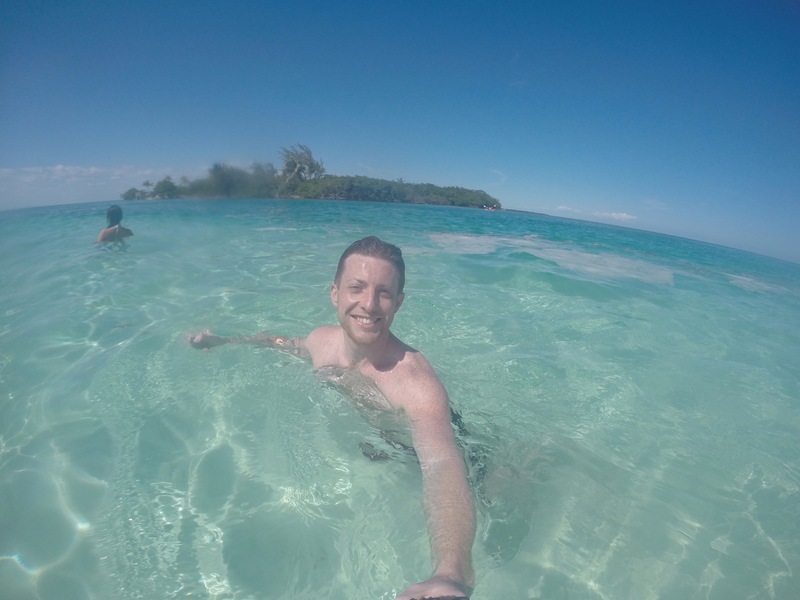 We swam with all kinds of tropical fish, sea turtles, rays, and sharks. We spent all day in the water and on the boat, and ended the day at the split for sunset. Our guides, Jacob and Shorty, were amazing: island locals and all around cool guys. 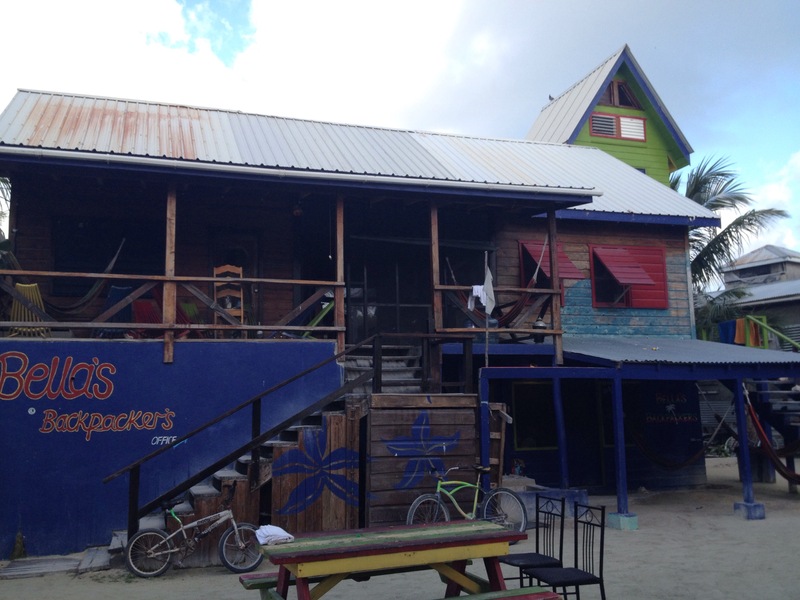 If you’re in Caye Caulker, book with Spearfishing Shack through Bella’s Backpackers. Did I mention they provide rum punch? 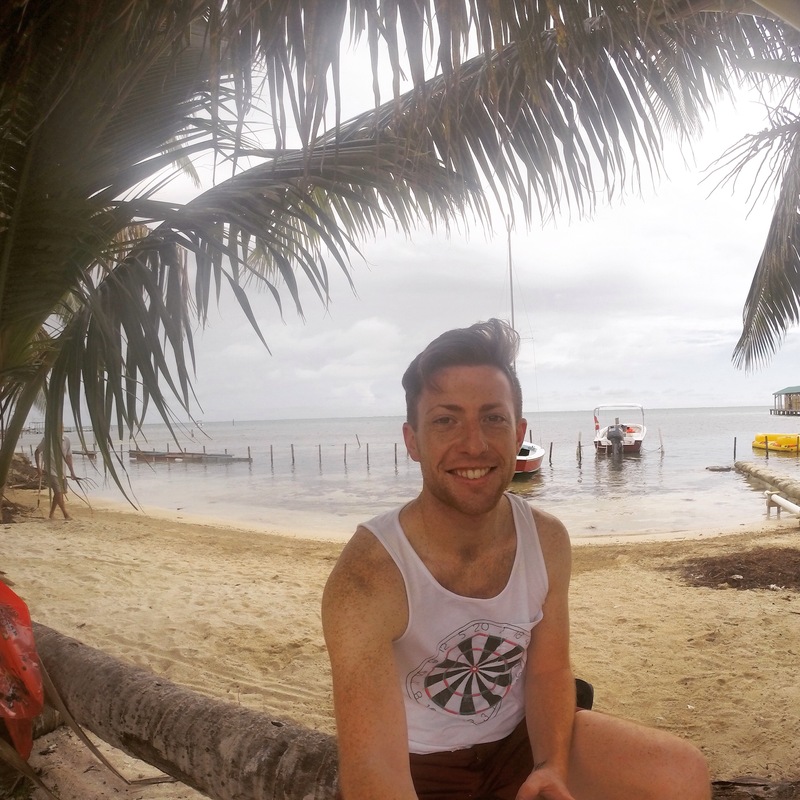 I love Caye Caulker so much, but it’s time to move on to Guatemala. I have so much to see and 4 weeks is not enough time. I met backpackers doing my same route in months. Maybe time to extend my trip? PS More pictures to come with better WiFi!